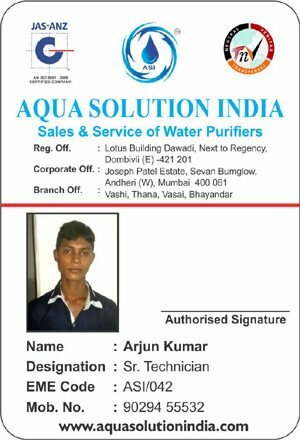 Aqua Solution India Rank No.1 RO Water purifier service provider, repair installation of commercial and industrial water treatment system. We also provide service & installation for RO Purifiers. This company is an ISO certified firm that supplies Domestic RO systems to produce bottled water by treating hard and salty groundwater, water purifying industrial RO systems, etc. 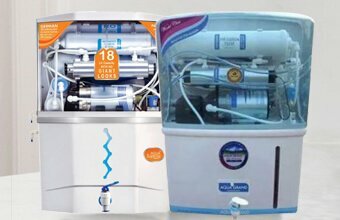 The company also offers various services for the maintenance and repair of these water purifiers that they produce. They cater to some cities in and around the country, especially places with water scarcity. Aqua Solution India porvide water purifier service in Maharashtra states Cities of Greater Mumbai, Pune, Nashik, Aurangabad, Nagpur, Kolhapur & more. Cities in the state of Maharashtra such as Mumbai, Panvel, Navi Mumbai, Kalyan, Vasai - Virar etc. are some of the places where the company has been able to gain a large number of clients for RO water Purifier service. These places are among the most affected due to water scarcity. Hence the use of the companyâ€™s products and services are given a lot of importance in their attempts towards water conservation and judicious use of the resource. Aqua Solution India's RO water purifier service centers are in all areas of Mumbai such as Mulund, Nahur, Bhandup, Kanjur Marg, Powai, Vikhroli, Ghatkopar, Vidyavihar, Kurla, Chembur, Sion, Matunga, Dadar, Parel, Curry Road, Chinchpokli, Byculla, Sandhurst Road, Masjid, CST as well as the following Thane areas of Kalwa, Diva, Mumbra, Dombivali, Thakurli, Kalyan, Kopar, Ulhasnagar, Ambernath, Titwala, Badlapur, Bhiwandi, Asangaon, Sahapur, Wadala, Mira Road, Bhayander, Virar, Vasai, Naigaon, Shilphata, Vitalwadi. Aqua Solution India got strong presence in Bihar sharif, Nalanda, Rajgir and Patna city of Bihar. Aqua Solution India also have their RO water purifier service partner in Pune, Nashik, Ahmedabad, Gandhinagar, Udaipur, Jodhpur, Pali, Banglore, Hyderabad, Chennai, Kolkatta. We provide Ro water purifier services in western line of Mumbai which covers the following areas of Churchgate, Marine Line, Charni Road, Grant Road, Mumbai Central, Mahalaxm,Lowerparel, Elphinstone Road, Dadar, Matunga Road, Mahim Junction, Bandra, Khar Road, Santacruz, Vile Parle, Andheri, Jogeshwari, Ram Mandir, Goregaon, Malad, Kandivali, Borivali, Dahisar, Mira Road, Bhayander, Naigaon, Vasai, Nalasopara, Virar. Aqua Solution India is an award-winning company that has been able to develop a range of water purifying systems at affordable prices. Aqua Solution India is awarded best Ro water purifier service dealer in Mumbai and other states of India by water association in the year 2016 . Aqua Solution India is awarded best sales dealer in mumbai by water association in the year 2016. 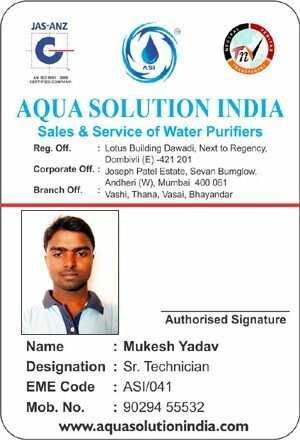 Aqua Solution India sales & service of all water purifier is an ISO 9001 : 2008 certified company. 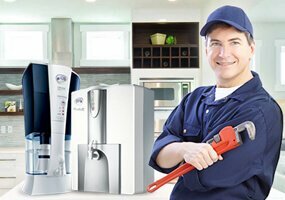 Aqua Solution India is Mumbai Largest Growing Service Provider AMC, Repair & Maintenance of Ro system. When we all work together to reduce our impact on the environment, we leave the world better for future generations. 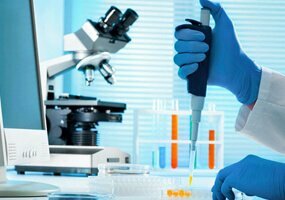 Aqua Solutionâ€™s spare parts are created when the product is developed, are tested in all situations. Aqua Solution India is NCR's Largest Growing Service Provider AMC, Repair & Maintenance of Ro system. 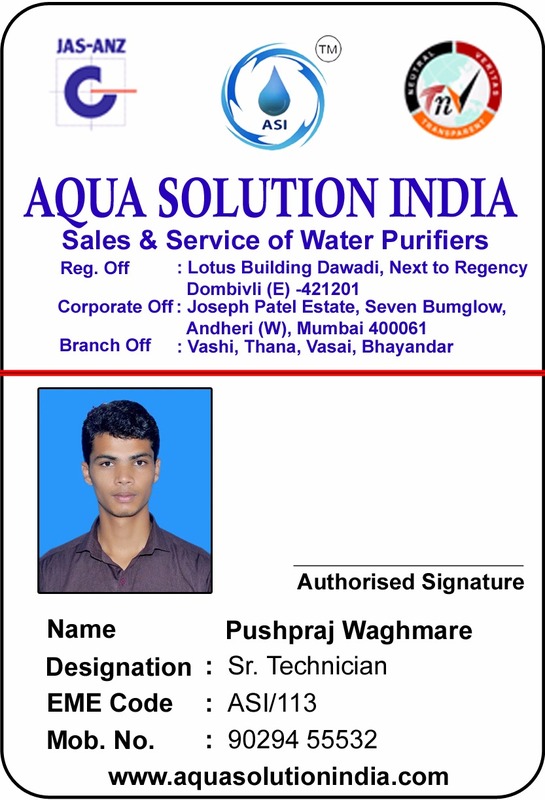 Aqua Solution India have 12+ years of industry experience and a precious customer base in India. 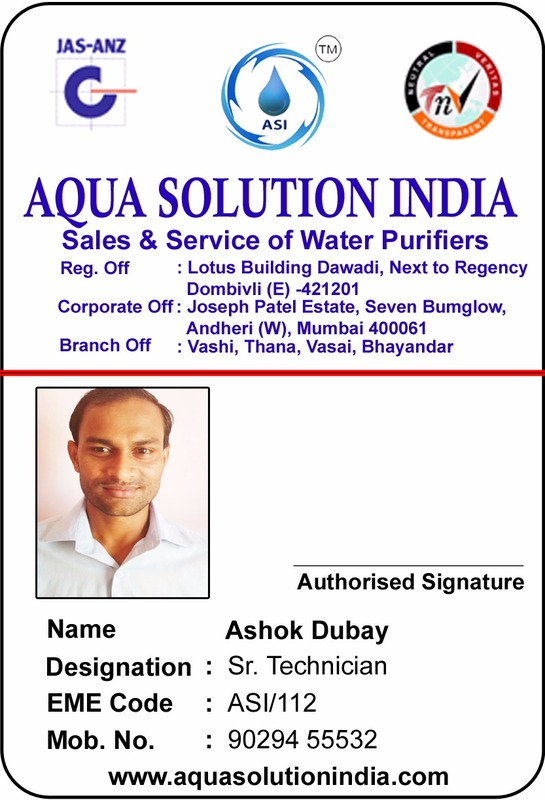 Aqua Solution India have set some priorities Like, Sale, Service and also After sale service. Aqoa Solution India provide Domestic RO Systems that are meant to be used on hard and salty water from the ground. This method is used at an international level for the purpose of producing bottled water. Aqua Solution India appreciated their clients for providing industrial water purifying plants with the finest range of Industrial RO Systems available in different specifications, these systems can be availed in customized forms from us at an economical price. 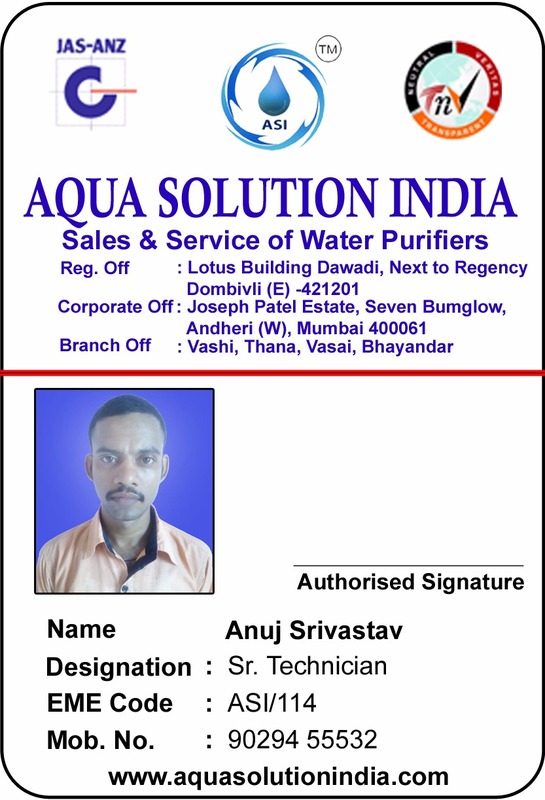 Aqua Solution India is an independent company & authorized sale partner of wave Ro system ltd. Aqua Solution India is NCR's Largest Growing Service Provider company & we undertake job work of service, AMC, Repair & Maintenance of Ro system. 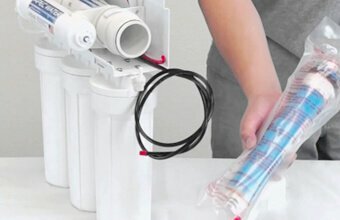 Our support is comprehensively designed to provide clients with water purifier service necessary to maintain RO systems. 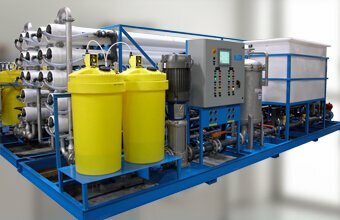 Providing solutions for high-purity water applications, we offer am extensive range of membrane purification systems etc. Aqua Solution India is one of the best company for sales and supply of ro spare parts in all over Mumbai, Pune and other states of MaharIashtra. Aqua Solution India have strong presence in metrpolitan cities of India such as Chennai, Hyderabad, Banglore, Kolkatta, Delhi.We also provide sales and supply of ro spare parts in states of India - Rajasthan, Gujarat, Bihar, Uttar Pradesh, Karnataka, Punjab, Madhya Pradesh and more We (Aqua Solution India) have a great collection of ro water purifier spares. We (Aqua Solution India) have spare parts according to the industry standards. 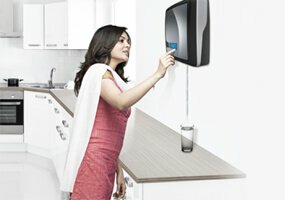 Aqua Solution India is the leading service provider of all brand water purifier in Mumbai. Aqua Solution India is based out of the City of Mumbai, Maharashtra where we repair and build water purifier for the purest and tasty water. "KRONA" has introduced Smart Ro"Aqua Bliss" which indicates Filter Change Alarm System and Smart TDS Display. A perfect combination of purity and innovation which gives you 100% pure water. Touch 2000+ is available with a 7-stage advanced purification system with UV,UF,taste enhancer & 8.5 Liters of storage capacity. KRONA Ultra is an easy to afford online UV water purifier. It has an elegant wall mountable design, best fit for Indian kitchens. It saves expensive counter space and provides convenience while drawing water. 5 Stage Filtration Process SPUN POLYPROPYLENE CARTRIDDGE- High quality melt blown cartridge removes dust, dirt particles in the water. Granular Activated Carbon- Removes the Sand, Silt rusted iron particles. I have found all the office staff and site engineers to knowledgeable and professional. 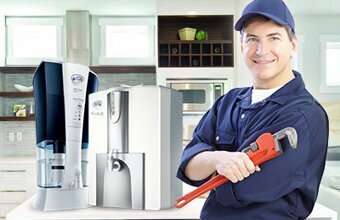 Our Water Purifier systems is regularly maintained with our needs. I have no hesitation in recommending Aqua solution India to any prospective customer. 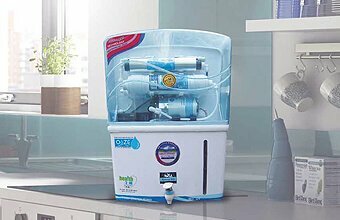 I have two water water purifiers and have used Aqua Solution Indiaâ€™s services since the 2005 to treat the water. They clean our systems twice a year and carry out a monthly check on top of the weekly in house doses and checks. 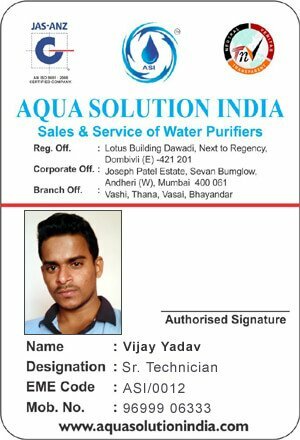 I would have no hesitation in recommending Aqua Solution India for a professional and quality service. 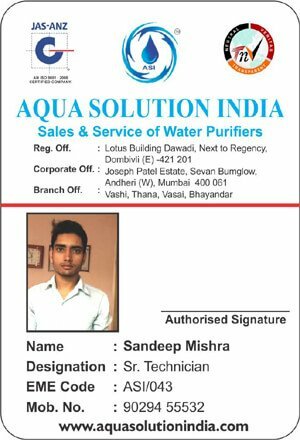 We are very satisfied with the service of Aqua Solution India and back up they give to keep our Water Purifiers up to specified standards. Aqua Solution India has been responsible for the Services of our Water Purifier for at least the last ten years. 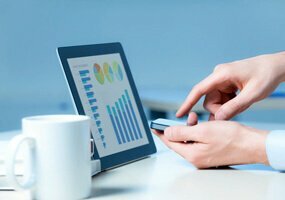 During that time we have had no problems with either the quality of the service of the contract.